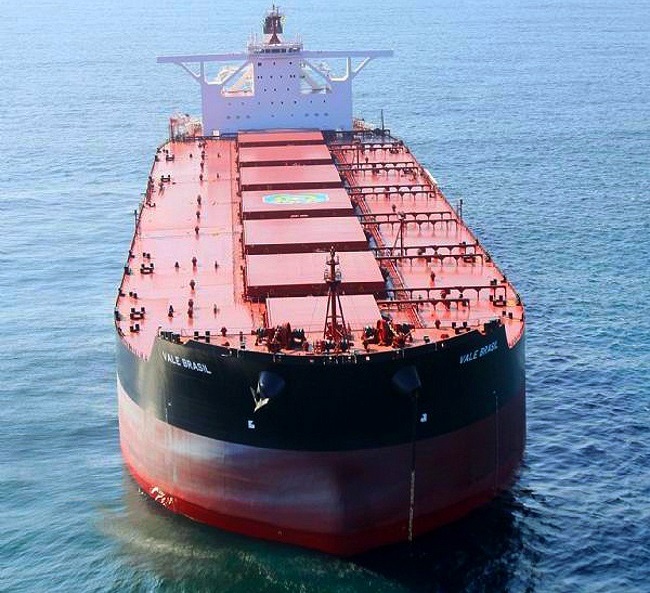 Home / Shipping News / Dry Bulk Market / Will China’s Apparent Slowdown Hurt Shipping? Will China’s Apparent Slowdown Hurt Shipping? For almost two decades now, China’s emergence as an economic powerhouse, with vast needs for raw materials imports to feed this growth, has immensely benefitted the shipping industry. However, while the country is still the most important market for global transit shipping, the apparent economical slowdown, triggered by the trade war of the past year, is starting to put strain to the maritime industry as well. 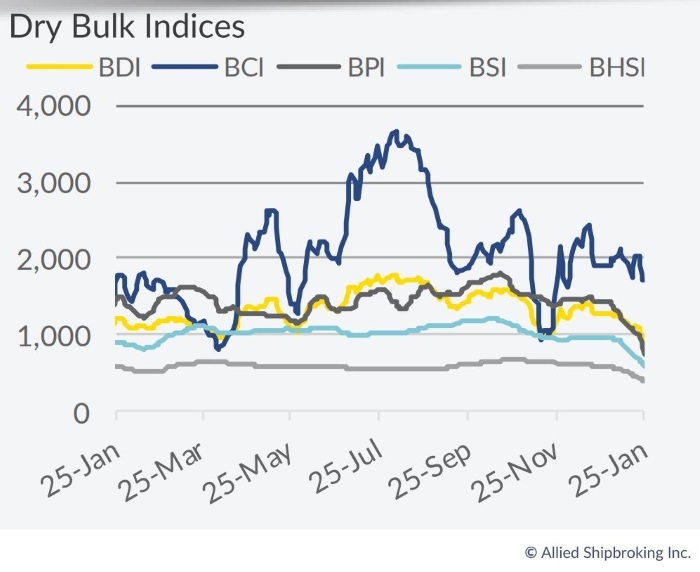 In its latest weekly report, shipbroker Allied Shipbroking said that “China has been the top driver of global growth for nearly two decades now, pushing demand for seaborne trade and being the key influencer for demand of several major trading commodities. The annual data of this Asian giant were revealed just a few days ago, sparking concerns for the economic state of the country. China’s GDP expanded in the previous year by 6.6%, a rate that may sound impressive compared to other OECD countries, but it is the lowest pace the country has seen since 1990. In addition, the latest quarterly growth figure stands at 6.4%, the weakest rate since the global financial crisis. With China accounting for one-third of global growth, it is no surprise that the International Monetary Fund revised its global economic growth forecast for 2019 by -0.2% and pointed out that risks for further downward corrections are high”. According to Mr. Yiannis Vamvakas Research Analyst, “it is fair to point out that this slowdown has been expected by most including Beijing itself. The declining trend in China’s economic growth has been in the works since 2010, with the local government making steps to slowly transform from primarily a manufacturing based economy to a service based one. Of course, the impacts on global trade from this will be slow and gradual. An economic poll conducted by Reuters showed that the majority of economists expect China to slowdown further in 2019 down to 6.3%, while the IMF predicts a 6.2% growth rate. Apart from this disappointing growth data, production and trade data for 2018 have also been worrying. The Caixin/Markit manufacturing purchasing managers’ index (PMI) declined in December 2018 to 49.7, slipping back into contraction for a first time in 19 months. Industrial profits also fell in December, dropping by 1.9%”. Vamvacas added that “moreover, China’s exports declined in December by 4.4%, the most in almost two years, while imports were also decreased by 7.6%. Regarding iron ore, a key commodity for dry bulk shipping, Chinese imports declined by 1%, falling to 1.064 billion tons from 1.075 billion tons in 2017, in their first annual decline since 2010. At the same time, steel exports continued to a soften in 2018, hurt by the current trade war with the US. On the other hand, coal imports by the Asian behemoth increased to their highest number in the last four years, reaching 281.5 million tons. However, imports were curbed during the last couple of months following a government strategy to support domestic coal prices”. According to Allied’s analyst, “on the soya bean front, the impact of the US trade tariffs was significant, shifting imports’ sources from the US to different producing nations. However, it is worth mentioning that total Chinese exports in 2018 remained on a positive course, with China’s trade surplus with the US growing despite the trade tariffs, according to Chinese government data. However, the tariffs that have been imposed by the US government remain an important headache. With negotiations between the two countries having started, a lot of focus has been placed on the March deadline, when most hope a final decision will be reached. The aftermath of the negotiations may lead to further reshaping in global trade. With 2018 being an alarming year for the Chinese economy, affecting the shipping markets as well, it is significant to see if this disappointing year was just a parenthesis. The risks placed by a further slowdown in the Chinese economy on global trade as well as shipping markets is still high, but we should keep in mind that China’s growth maybe contracting but still remains robust. However, questions regarding the capability of the global economy to decrease its dependence to China are intensifying”, Vamvakas concluded.